Ginger Goose01274 390584work Public HouseThe Ginger Goose reflects the modern cosmopolitan side of this fair city, with large unencumbered windows looking directly over Centenary Square the home of the acclaimed Bradford mirror pool and iconic gothic styled City Hall. Throughout the year City Park hosts many prestigious concerts and festivals and we provide a ringside seat. Satisfying demand for real ales, premium lagers and a vast choice of popular beverages makes us one of the cities favourite watering holes. Once your thirst is quenched and you’re sat enjoying the sights and sounds of the city in modern comfortable surroundings. 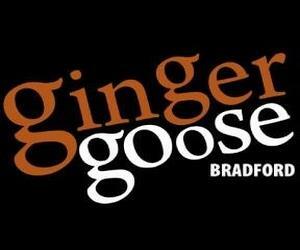 The Ginger Goose reflects the modern cosmopolitan side of this fair city, with large unencumbered windows looking directly over Centenary Square the home of the acclaimed Bradford mirror pool and iconic gothic styled City Hall. Throughout the year City Park hosts many prestigious concerts and festivals and we provide a ringside seat. Entertainment features heavily in the Ginger Goose calendar and the weekend brings life to our relaxed atmosphere. Our events team goes to great lengths searching for the best in live entertainment. Every weekend without fail, live bands and accomplished DJs form part of the bars makeup. 3 minutes walk from the bus and train station. Parking with charge. Taxi rank around the corner.